Have You Heard About the Equine Microbiome Project? We've Reached 44% of the Goal! 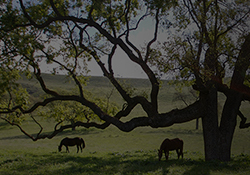 The Microbiome Project by Platinum Health is a crowdsourced research project studying the effect the gastrointestinal microbiome has on different aspects of horse health. Possible areas of health affected may include weight, laminitis, allergies, and many others. What is the equine gastrointestinal "microbiome"? It is the collection of the genes of all the microbes that live in your horse's gut and play a significant role in their health depending on the levels and type of bacteria present. How can I participate? We encourage you to participate in the study by enrolling your horse in the project. The resulting aggregated data will be anonymized and analyzed to determine health correlations across the entire sample population. Bringing the horse owner and the equine veterinarian together to maintain and improve the health of the horse. © 2019 Platinum Performance, Inc.